Flying into London Friday morning, I had no idea what to expect from SalonQP but was very excited to be attending for the first time. For those of you not familiar, SalonQP is an annual watch fair hosted by QP magazine at the Saatchi gallery. I went into my first “QP” (as the locals seem to call it; an abbreviation for Quantième Perpétuel) with an open mind and a shiny new camera (Canon EOS M3 to be exact). Arriving at Heathrow after a restless night in cattle class (i.e. coach), I thought I would try to save a few pounds and take the Heathrow Express to the local tube line. The Heathrow Express is a lovely way to get to central London. However, as a New Yorker used to the grid system and an orderly subway map, upon transferring to the local tube I quickly found myself lost and 40 minutes in the wrong direction from my intended destination. After composing myself, I took a cab to my hotel and got ready for the night’s festivities. SalonQP was hosting a cocktail reception to open their annual watch fair. It’s open to the public and press and Friday night’s cocktail party didn’t disappoint. 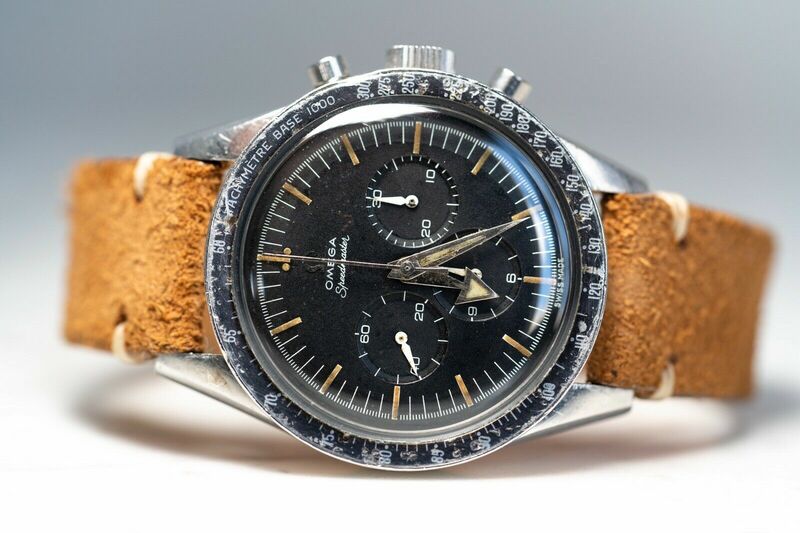 I was surrounded by nearly every horological luminary imaginable (Roger Smith, F.P. Journe, Tim and Bart Gronefeld, WatchAnish, and many more). We drank, talked watches, and of course, took some photos of some seriously amazing watches. The vibe was electric, people from fashion, watches, social media, and even a few celebrities showed up to pay their respects to some epic makers of some serious horological hardware. Talking watches with Roger Smith – Roger just released his new series of timepieces. The pieces are truly stunning (Especially the Series 2). Amazing details, engine-turned dial, and, of course, Roger’s signature movement made in the George Daniels method. Get your orders in now folks, there’s a three-year wait. Seeing a Tudor North Flag encased in ice – Seriously, Tudor commissioned a local ice sculptor to make a piece of ice with a Tudor North Flag in it. After talking to Tudor’s representatives, I uncovered the secret. They shipped in a new sculpture every day! The watch has a 70-hour power reserve and ice melts. So they made a new piece every day so that they could show the watch running. I can attest that there was a real (and perfectly functioning!) watch in each and every ice chunk. Gronefeld – You could search the earth and won’t find a more welcoming or humble pair of watchmakers and gentlemen than Tim and Bart. Their watches have won numerous awards (including GPHG) and they never disappoint. 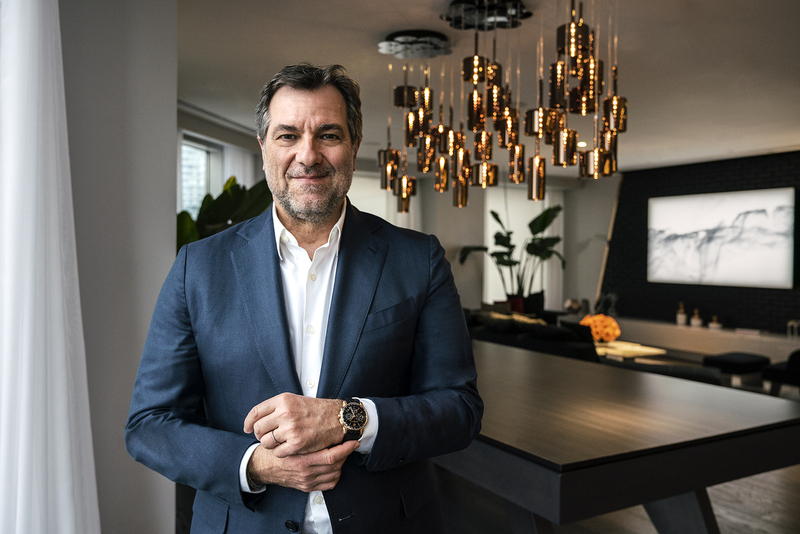 Chopard – The maison Du Chopard is quickly transforming themselves from the “Happy Diamonds” house into a horological powerhouse. Their new L.U.C XPS Fair-minded in Rose gold is a seriously epic piece. The world’s first watch made from fair-minded gold! The dial has a great starburst/meteorite quality. Give this one another look! Seven Friday lounge – Seven Friday always finds a way to position themselves as the center of the party. While I may not be a huge fan of their watches, they keep the energy flowing like no other! The whisky/lavender cocktail was most excellent! After Friday’s cocktail hour, I went to dinner with Atom Moore (@atommoore), Kathleen (@kmcgivney), and Chase (@oakandoscar). Our night was interrupted with the terrible news coming from Paris. After a somber dinner, we all agreed to call it a night and headed our separate ways. On Saturday morning, we gathered and struggled to come to terms with what had happened in Paris — a senseless tragedy that will remain in our consciousness for some time. Because of the attacks on Paris, London closed many of their main roads and tube service was limited and under heavy security. The show started on a somber note, especially since a few people in the watch community were personally impacted by the attacks. By mid-day, we pressed on and continued the show’s final day. Some amazing talks occurred on Saturday, notably Ross Povey (aka the Tudor Collector) detailing the history of Tudor’s dive watch efforts. It was great to hear the history of Tudor’s dive program from the start of their Submariner line to their latest in-house movement efforts. Stephen Forsey, Roger Smith, and Bart Gronfeld hosted an enlightening talk on the value of the tourbillon within the horology industry. Meeting the fine chaps from Garrick– A UK based bespoke watchmaker that is making a serious effort to bring in-house (mostly in-house, some Swiss parts), affordable watchmaking to the masses. Their new Norfolk line starts at 2,300GBP and features an in-house enamel dial and hand finished movement. Keep an eye out for them! Belgium Watch Club x RedBar Crew x TRF meet up – The title says it all! RedBar Crew (a US-based collectors group), and their counterparts in Belgium joined forces to throw an epic dinner and horological summit featuring a variety of heavy-hitters on Instagram. The after-after-after-party with @cigarsmokingmodel and @redbarcrew – What I find so fascinating about our community is our ability to identify people by their Instagram names. Hanging out with Atom Moore (@atommoore), I was blown away by the response he and his beard were getting. Multiple people stopped him to say hello and pay respect to his exceptional photography skills just because they recognized him from IG. Throughout the show, we all referred to each other by our Instagram names. It’s with that spirit that a few more of us decided (at 11 pm) that the night wasn’t over. Nick (@cigarsmokingmodel) had been contacting us via Whatsapp throughout the day and we all decided it was time to meet for a drink and more conversation. Kathleen (@kmcgivney) came through with a last minute table reservation at Hyatt’s Churchill Bar. Despite jet lag kicking in after a long day, the great conversation powered us a few more hours before we headed our separate ways into the night. Seeing George Daniels’ four-minute tourbillon in person – Ever since reading George Daniels’ biography, I’ve been fascinated by his work. Simple, elegant, hand made, and a labor of love. His watches are unique, beautiful, and timeless. The Foundation de la Haute Horlogerie assembled a wonderful exhibit on the history of the second. They gathered some exceptional pieces from across the world. Most notable for me was seeing Mr. Daniels’ oversized pocket watch in person. Engine turned dial, wonderfully finished case, all in its original display case. I spent a good amount of time staring at this piece while pondering if I should put a deposit in on a Roger Smith creation. Throughout the day, everyone seemed closer than ever. The #watchfam was full of positivity, hope, and connectedness. I’m a member of a large Whatsapp group that discussed the Paris tragedy among members from a spectrum of religions and locations. No one could make sense of the event, but we all agreed that our little hobby binds us together, and we hope that the spirit of acceptance and collaboration can spread. Roger Smith Series 2- My clear favorite from the show. Roger really knocked it out of the park with this piece. 100% in-house, English-made piece. A timeless design, well worth the three years wait it commands. Chopard L.U.C Fair-mined – You could say the dial of this watch would a clear winner of a dial design award (if there was one). Other than the fantastic starburst dial, this watch is also cased in a unique metal. All of the gold in this piece is fair-mined, which essentially means Chopard can attest that all of the gold was mined ethically and the miners were paid a living wage. A great cause and awesome watch. Manufacture Royale 1770 voltage – Manufacture Royale really came out swinging at SalonQP. 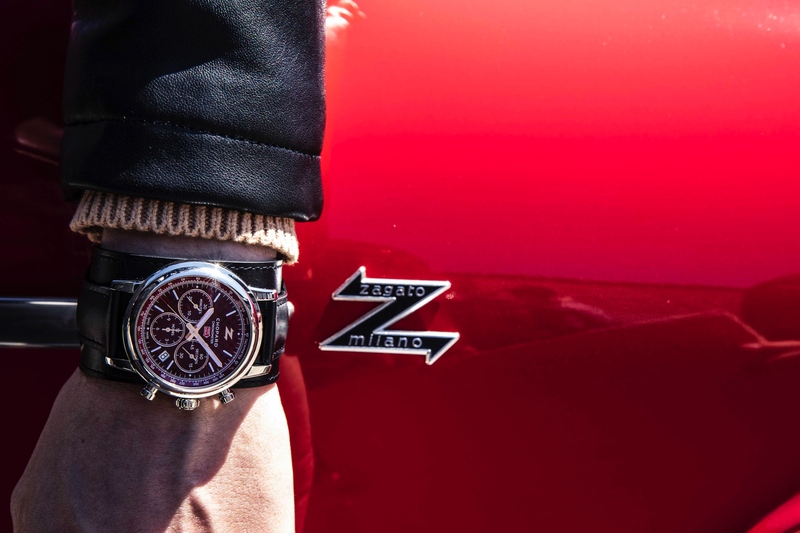 The 1770 voltage piece features an in-house movement with a crazy-cool case and dial design. The piece sits nicely on the wrist and in a fraction of the cost of their other watches. This new Manufacture Royale base model doesn’t disappoint. Maurice LaCroix Masterpiece gravity – Limited edition of three for Harrods. In-house movement, with the movement on full display on the dial and reverse. Simply stunning. Apparently, two of the three are already spoken for, it’s a great piece. Garrick Norfolk – The Norfolk is made in the UK, assembled and finished by hand and ticks in under 3,000GBP. The design is inspired by maritime instruments. The guys running Garrick couldn’t have been nicer. We had a lovely conversation about social media and the current state of the industry. Keep an eye on these guys. Overall, SalonQP was a rousing success. I would definitely come back. Next year, I will plan better and be there for the press preview and perhaps even find a hotel closer to the venue. For attendees, I think SalonQP is a tremendous value. The brands were all very approachable and were all willing to take out pieces for photos and handling. 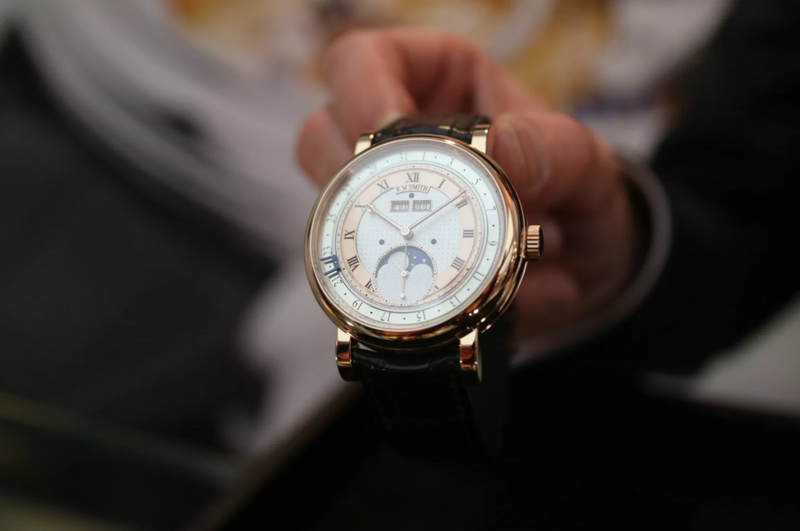 If you find yourself in London next November, be sure to plan a trip to SalonQP. If you were there, feel free to share your photos in the comment section below!